Perspectives Consulting: Principals - PERSPECTIVES/ THE CONSULTING GROUP INC.
Ed Engoron is the President/CEO of Perspectives and the Co-Founder of Choclatique. He is an award-winning Hollywood art director, illustrator and director, and a highly accomplished restaurateur, a professional hospitality consultant, food architect, broadcaster and published author (Stolen Secrets, Landmark Communications, 1981 and Choclatique—150 Simply Elegant Desserts, Running Press, 2011). Engoron was born in Los Angeles, California. He has traveled to 137 countries, resided in Tokyo, Hong Kong, Paris, San Francisco, Dallas and New York. He holds degrees in Architecture, Business Administration and Psychology (USC). He attended the Cordon Bleu in Paris and expanded his kitchen craft in Vienna, Beijing and Hong Kong. He has served as a member of the Board of Governors, Los Angeles County Arboreta and Botanic Gardens as well as County Commissioner, Marin County, Chairman Fine Arts Commission. He was also presented the San Mateo County First Citizen Award. Joan Vieweger joined Perspectives in the Fall of 1986, providing free-lance research services on a project-by-project basis. During the Summer of 1987, Ms. Vieweger became Executive Vice President. Her responsibilities include the design, implementation and analysis of the company's primary and secondary research projects as well as strategic planning, market development and concept positioning analysis. Prior to her involvement with Perspectives, Ms. Vieweger held the position of Director of Sales and Marketing for CREST - An NPD Group Company. As such, Ms. Vieweger was responsible for the sales and marketing of the company's syndicated and customized research services. She was also instrumental in the development of the CREST Target Market Development Network program, a management tool designed to identify and locate consumer demand on a national, market or site level for expanding restaurant concepts and products. 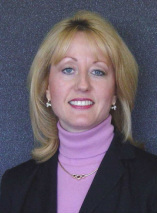 During her tenure with CREST, Ms. Vieweger also held the position of Project Director, managing the day-to-day details of the company's consulting projects. Ms. Vieweger studied Marketing and Business at the University of Wisconsin Milwaukee and William Rainey Harper College in Palatine, Illinois. Ms. Vieweger is a founding member and the past president of the Fine Chocolate Industry Association (FCIA). She was the co-host of The Food Show and The Super Foodies, nationally syndicated programs on ABC.